These yummy Oreo ice cream cupcakes require NO baking and best of all, they are easy to make! Place cupcake cases in a cupcake tin and add one Oreo biscuit to the bottom of each case. 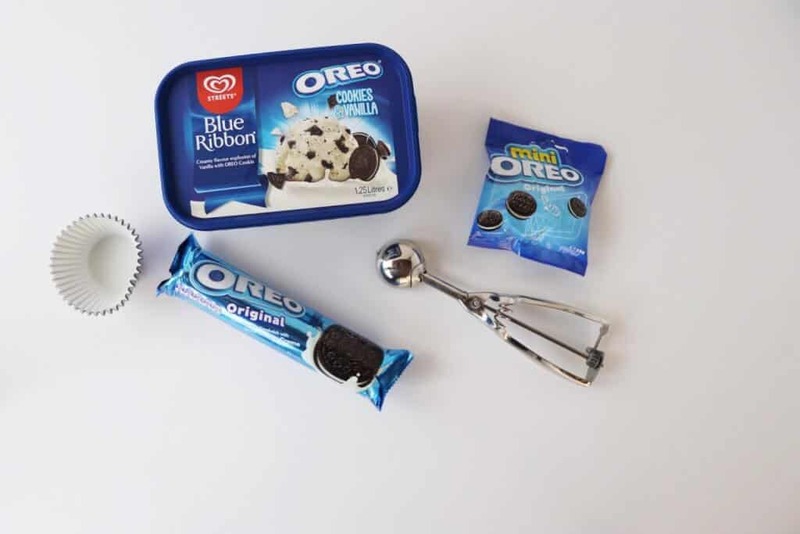 Put a few spoonfuls of Oreo ice cream in each case and push down a spatula or spoon. Top with a swirl of whipped cream and put a mini Oreo on top of the cream. Freeze for 1 hour until they are set firm.